What is your current vehicle worth? Do you know? Well, you can use our tool down below to see what your vehicle is worth! We base our estimates off of the current market value, the current car’s road mileage, the features of the vehicle, and the vehicle history so that we will be able to offer you the best possible deal for your car, truck, or SUV. Our financial experts are standing by to answer any questions that you have about the process of trading in your vehicle. When trading in your vehicle, the cash that you get from your vehicle you can use towards the purchase of a new Honda or used vehicle on our lot. You can search our new and used vehicle selection to see what automobile catches your eye. With so many options to choose from, there is bound to be something that you love on our lot. 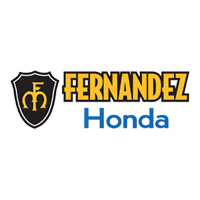 To help with the financing of that new and used vehicle, you can trade in your car, truck, or SUV today here at Fernandez Honda in San Antonio, TX! Using the trade in tool below, find out how much your vehicle is worth. It’s as easy as that! Find out what your vehicle is worth today! Just fill out the questionnaire, visit our dealership at 8015 Interstate 35 S, San Antonio, TX 78224, or give us a call anytime at (210) 928-1500.